It’s good that Clint Bowyer knows and appreciates his racing history, because he’s going to live it this weekend at the Indianapolis Motor Speedway when the Monster Energy NASCAR Cup Series holds its regular-season finale Sunday. Bowyer will drive the No. 14 Mobil 1/Rush Truck Centers Ford Fusion co-owned by Gene Haas and the Hoosier-state’s favorite son, Tony Stewart, in the 25th annual Big Machine Vodka 400 at the Brickyard. 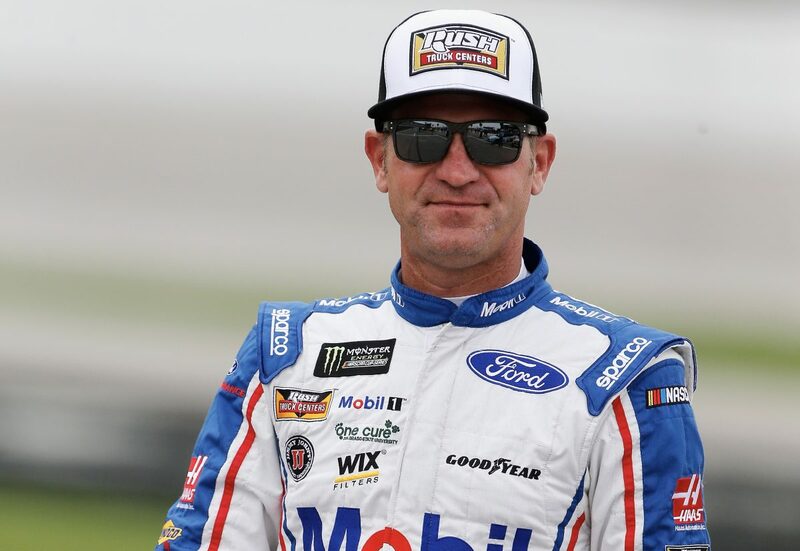 Bowyer knows wearing a Mobil 1 Racing suit while driving the three-time champion Stewart’s entry, which carries the No. 14 made famous by four-time Indy 500 winner A.J. Foyt at the Brickyard, is a lot to live up to and an honor. Bowyer said the Mobil 1 paint scheme fans will see on his Ford at Indy goes beyond a marketing effort. Mobil 1 plays an integral role in SHR’s success. Mobil 1’s lubricant technology helps to reduce frictional loss in his Ford engines to maximize fuel mileage, increase horsepower and turn more rpm, providing an advantage over his competitors. Mobil 1 also helps reduce friction in suspension components, providing maximum tire grip as well as helping to reduce steering compliance to give its teams an edge behind the wheel. Not only does Mobil 1 help improve the on-track efficiency of SHR, but the on-track testing helps lead to new lubricant technology developments such as Mobil 1 Annual Protection, which allows drivers to travel up to 20,000 miles, or one full year, between oil changes. In its 16th consecutive season as the “Official Motor Oil of NASCAR,” Mobil 1 is used by more than 50 percent of teams throughout NASCAR’s top three series. Rush Truck Centers has its own history at SHR. It’s been the primary partner on the No. 14 team since Bowyer arrived at SHR in 2017 and has been with the organization since 2010. The Texas-based company has used Bowyer and the team to appeal to NASCAR fans as one way to recruit the technicians it needs to operate the largest network of commercial truck and bus dealerships in the country, with locations in 22 states. According to Rush Truck Centers, the trucking industry is expected to need 200,000 diesel technicians over the next 10 years to keep up with maintenance demands. Bowyer said he’ll take any advantage he can get this weekend because Indy is a difficult track for the stock-car crowd, whose cars lack the downforce of their open-wheel counterparts in the IndyCar Series. The rectangular oval track includes two 5/8-mile straightaways and four nearly identical quarter-mile turns connected by short, eighth-mile straightaways. The turns are banked about nine degrees – far flatter than the 30-plus-degree banking at tracks like Daytona (Fla.) International Speedway, Talladega (Ala.) Superspeedway, Bristol (Tenn.) Motor Speedway and others that are part of the NASCAR schedule. He said the key to racing success there is managing risk behind the steering wheel. He hopes Indy will erase the bad memories from last weekend’s race at Darlington (S.C.) Raceway. Driving a paint scheme similar to Ned Jarrett’s 1965 race-winning Ford, Bowyer climbed to fifth before dropping to 27th a lap behind the leaders when he had to make an extra stop midway through the race. Bowyer climbed back to 12th, but a hard crash with 58 laps remaining left him with a 36th-place finish. Bowyer would like to add a third victory to his 2018 resume at Indianapolis. He also wants to add to the 10 playoff points he already owns. His 10 points are the fourth-most behind “Big Three” drivers Kevin Harvick, Kyle Busch and Martin Truex Jr. Playoff points are crucial for drivers with dreams of making it to the season finale at Homestead-Miami (Fla.) Speedway because they are added to each driver’s tally after the point totals are reset at the end of the first three rounds of the playoffs. Drivers earn five playoff points for a victory and one point for a stage win. Additional points are earned based on the regular-season points finish after Indianapolis. The regular-season champion earns 15 points, second place earns 10, third earns eight, fourth earns seven – continuing in descending increments to one point for 10th place. Bowyer enters the Indianapolis race eighth in regular-season standings, trailing fourth-place teammate Kurt Busch by 58 points and leading ninth-place driver Ryan Blaney by 22 points. That’s a lot of incentive for Bowyer at Indy, and he has history on his side. What are your thoughts on Indianapolis? What makes winning at Indianapolis so special? What is Mobil 1’s relationship with Stewart-Haas Racing?